Stone Age Climbing Gym operates an indoor rock climbing gym, climbing school, and climbing guide service at the foot of the Sandia Mountains in Albuquerque, New Mexico. Our facility and staff are focused on all aspects of rock climbing. Besides offering exciting climbing and a dedicated crew of AMGA certified instructors, we have a variety of programs that complement a climber's training regimen, as well as provide a social environment to be enjoyed with friends. The challenges provided by our walls are diverse; some climbs are as easy as climbing a ladder and others difficult enough to hold the attention of the most dedicated athletes. 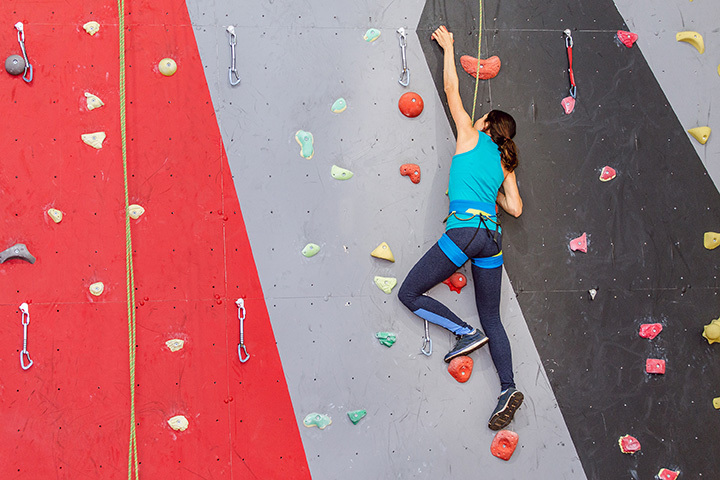 If you want to have a great time with friends and family at a birthday party or group event, a rock climbing experience can easily be fulfilled. An experienced instructor will guide you through the basics of rock climbing and holding the rope for each other during our complementary gym orientation. For those interested in adopting rock climbing as a sport, learning and training opportunities are abundant with specialized workshops and classes through our climbing school. Our climbing gear shop is fully equipped to satisfy the needs of any climbing adventure whether indoors or out, and our knowledgeable staff can help you pick out the right equipment. Come visit us to start your climbing adventure.